By: Fisher Price | sku: DGM05. Fisher-Price Nickelodeon Dora and Friends Gymnastics Adventure Dora. Fisher-Price Dora Gymnastics Demo Video. Dora needs your help to practice her gymnastics moves! Press the button on Dora's leotard to hear her talk and sing, or flip her over to hear even more fun phrases! Dive into Adventure with Dora and Friends! Dora features soft hair you can style. Change simple bath in adventure. We do our best to process as quickly as possible. 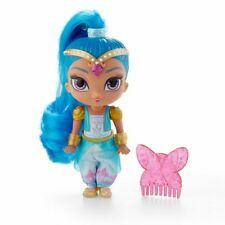 This doll is just the thing for creating the most magical genie adventures. 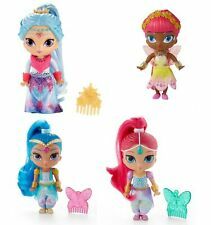 Each doll is dressed in a pretty satin genie outfit, colored shoes and brush accessory. Press the bow on Minnie’s chest for super sweet Minnie phrases, and see Minnie’s bow light up in different colours! Fully poseable light-up Minnie fashion doll with sounds and phrases! • Fully poseable 10” Minnie doll. Talk and sing with Dora! Dora also features soft hair you can style with the included brush and headband! Press the flower button on Dora's dress to hear phrases, sounds and a song from the TV show! This winter adventure set includes everything Dora needs to be a skating star or super snowboarder! Join Dora and her friends on their adventures in Playa Verde. Perfect addition to any Dora and Friends collection. This doll is just the thing for creating the most magical genie adventures. - and all other islands off the mainland. Little ones will love helping Dora take Perrito for a walk! Simply press the puppy-shaped button on Dora’s dress and Perrito will begin to walk forward on his leash. As Perrito walks, his head will playfully bobble and Dora will talk and sing a special song about her and Perrito’s adventures together! MPN Ernie Doll. Character Ernie. Type Stuffed Animal. Material Plush. 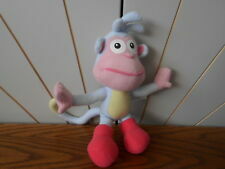 Boots the monkey, from Dora the Explorer. By Fisher Price, 2006. For sale is a character soft toy. 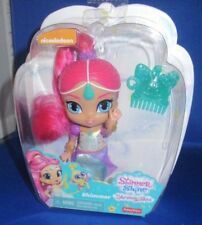 HAIR CHANGING COLOR BATH DOLL WITH ACCESSORIES. Character Family Ni Hao Kai Lan. It is Kai Lan! MPN Does Not Apply. Country/Region of Manufacture China. UPC Does not apply. Watch out for Zeta! Can they stop her?. This does not affect your statutory rights. In the unlikely event that you receive an item which proves to be faulty we are happy to help. She’s bright and cheerful and wherever she goes her pet monkey, Tala, is by her side…or on her shoulder…or her head. This does not affect your statutory rights. In the unlikely event that you receive an item which proves to be faulty we are happy to help. Shine arrives in her signature blue genie outfit and golden bejewelled headband. 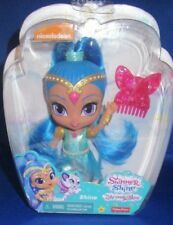 Shine arrives in her signature teal genie outfit and golden bejeweled headband. Squeeze Shine's tummy to hear her talk and sing. 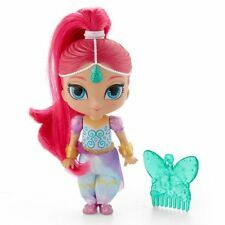 Each doll is dressed in a pretty satin genie outfit, colored shoes and brush accessory. Dolls are approx. 15cms in height. Set of 3 Shine Dolls consisting of. In very good condition Dora doll with lot od accesories. Character Elmo. Type Stuffed Animal. Material Plush. UPC Does not apply. Dora is dressed in pink top with Yellow flower and orange skirt. She going out in the rain with her yellow Sou'water hat and striped boots. In good condition with minor wear - tiny hole in front of her jumper and dirty mark on the back of her knickers. Join Dora and Perrito on a puppy adventure! You can help Dora take Perrito for a walk and teach him fun tricks like sit, stand, lie down and even high five! When you lift or lower Dora s arm, Perrito will respond to the command like a real puppy! Dora Saves the Crystal Kingdom (Nickelodeon). Electronic Dora the Explorer SINGS & DANCES when her Necklace is pushed. Character Dora the Explorer. Character Family Dora the Explorer. Great for play or display ! Character Dora the Explorer. Character Family Dora the Explorer. Label Fisher Price. UPC 746775193744. Binding Toy. Take Dora on a pony adventure in this Fisher-Price Dora the Explorer Magical Carriage Ride Playset! Dora can ride in the carriage as her pretty pony leads the way! Fisher-Price Dora the Explorer Magical Carriage Ride Playset.